Welcome to the recipe and dining index of Club Nutritious. 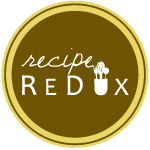 Here you’ll easily be able to search for recipe inspiration by meal occasion, including the little odds and ends of snacks, condiments, and drinks. Some recipes may pop up under more than one heading simply because many of them are well suited to be eaten whenever the mood strikes!